So, I’m going to let you into a secret about myself and skating but before I do, let me ask you this question. 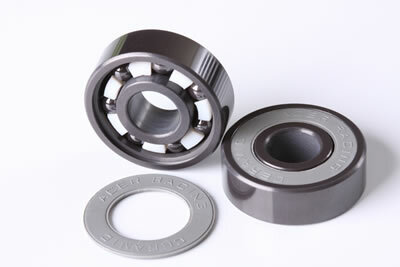 What do you do when your bearings start getting slow? Are you there with your tool kit taking the bearings apart, or are you squirting in the WD40 (heaven forbid) or going to the skate shop for a new pair? And then where do you start? The secret is, I’m a total Gumbie (London Skate speak for a newbie) at bearings! I have always been so confused by it that I have simply relied on good friends who years ago would help me clean my bearings (or clean them for me in return for beer) and then later just replacing them as economically as I could while still getting good value. For this reason I trust the professionals who work in the industry and that means our skate shops. Find out who is the ‘person in the know’ in your local or online skate shops and talk to them. You will learn a lot and they will help you sort your choices. If you don’t have a skate shop near you, here is a wonderfully concise and knowledge-filled article by Jake Elley, owner of Locoskates in Eastbourne and online. Jake has just moved to Brighton and lives a couple of blocks from my house so this post was born over a neighbourly cup of tea. I love the dry humour in this article (very British) and the ‘Bearing Myths’ section. If only I’d known some of this BEFORE!